Grand Army House - Said to be the site of the original 1810 Kitchel Bishop tannery, Colonel Benjamin Burhans and Thomas Gray acquired the property and operated a company store from the existing building. Burhans sold to James Fuller who began operating a boarding house. It was purchased in 1887 by Patrick Heffron and used as a boarding house for employees of the shirt factory. 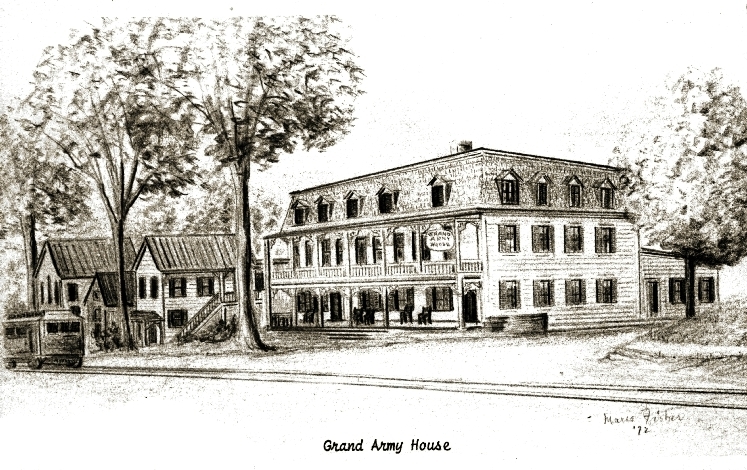 Mr. Heffron remodeled and enlarged the boarding house in 1893 and it was officially named the Grand Army House in honor of Mr. Heffron’s service in the Union Army. Electricity was added in 1895. It became known as Linindoll's for a time. Between 1905 and 1907 Nicholas Lynch leased the hotel from T. J. Smith. 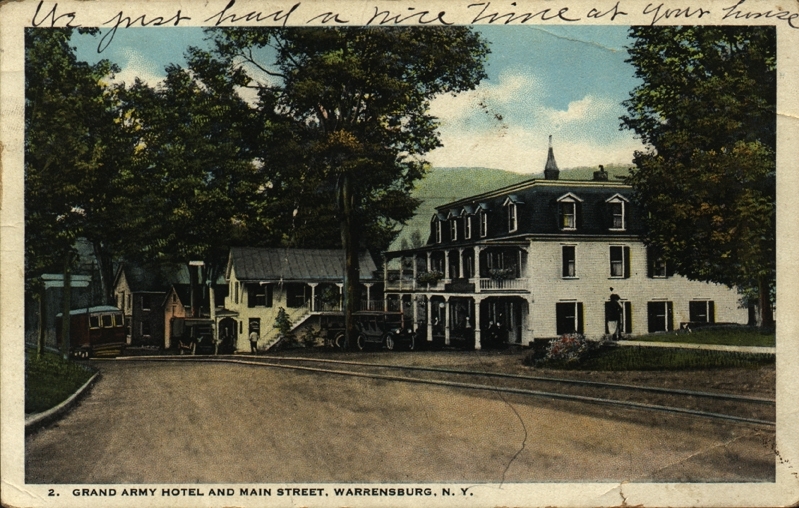 Maurice Pennaton purchased the hotel and then later, in June 1929, renamed it the Warren Inn. 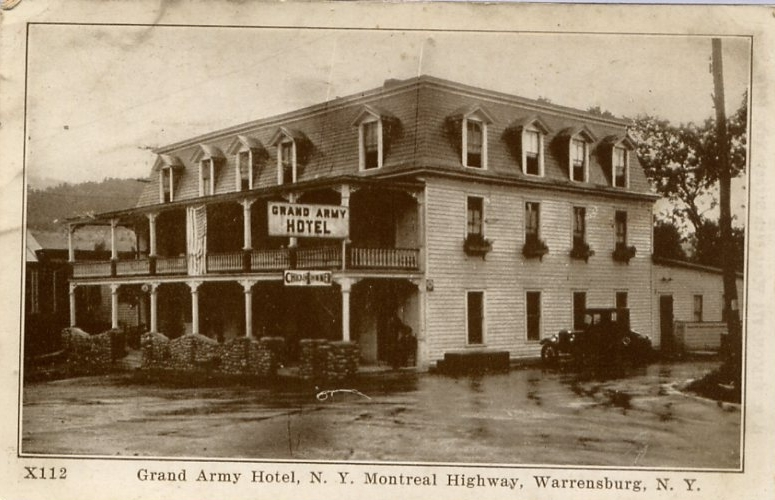 In that same year, the hotel was badly gutted by fire, but rebuilt. In 1974 another fire struck, after which it was razed and a small tavern and restaurant was built by owners Ed and Meta McMane. 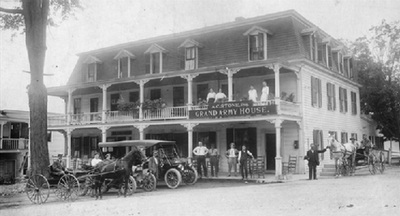 Now known as George Henry's, the business is owned by the Todd Trulli family, who expanded the kitchen and dining room and added an exterior deck. 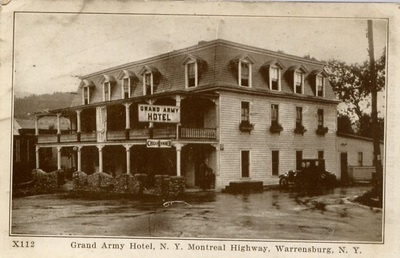 Left of Main Street at the Water Street intersection, is the Warren Inn, known in the old days as the "Grand Army House". 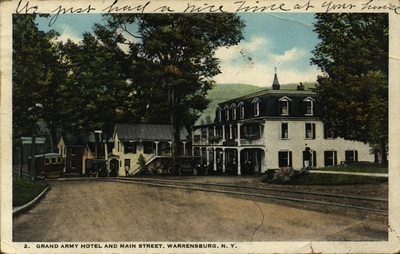 This hotel began its service as a hostelry when the building was purchased from Colorel Benjamin P. Burhans by James Fuller, who began operating Fuller's Boarding House. During the days of the flourishing tannery business, the building was owned by tannery owners Colonel Burhans and his partner, Thomas Gray. A company store was conducted on the property. It was when Colonel Burhans moved to "the Elms" further up Main Street that it was sold to Mr. Fuller and became a boarding house of excellent reputation. 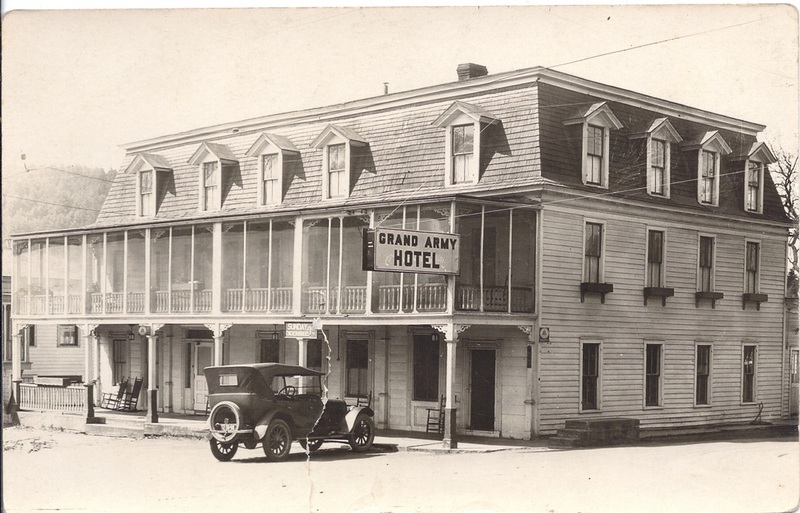 After Mr. Fuller's death, the boarding house passed to his sone and was eventually traded for out-of-town property. 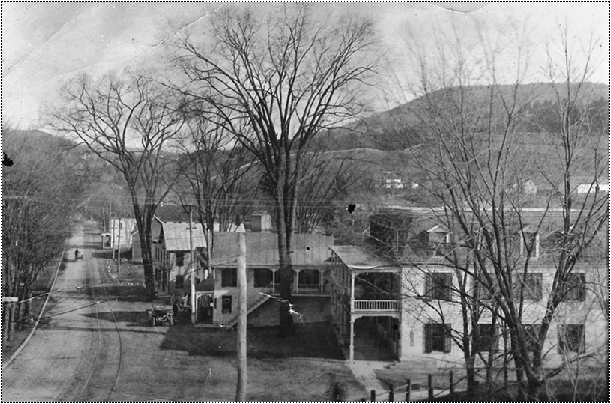 In the spring of 1887, Patrick Heffron purchased the property and opened a boarding house where employees of the shirt factory stayed.